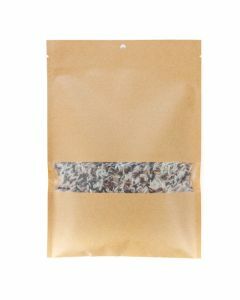 Are you looking for an attractive bag for your cookie packaging? 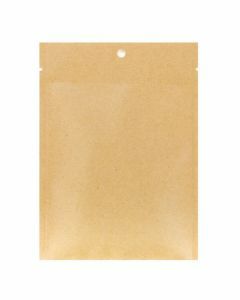 Our KHS34MW Flat Kraft Heat Seal Bag in matte laminated Kraft features a matte window to let your product show through. Try this 3" x 4" for single cookies, brownies, and small snack items. The inner OPP layer is grease-resistant for easy loading of baked goods. FDA approved. 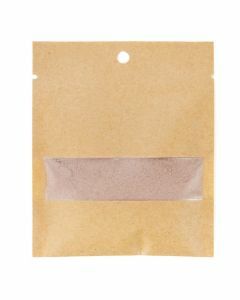 Our KHS34M Flat Kraft Heat Seal Bag measures 3" x 4" and works well for packaging single cookies, ground coffee, trail mixes, and more. The Kraft panels are matte laminated for a high-end look and work well for customized designs. The inner lining is grease-resistant for easy packaging of baked goods. 4.8 mil thick. Usable space measures 3" x 3 1/4". 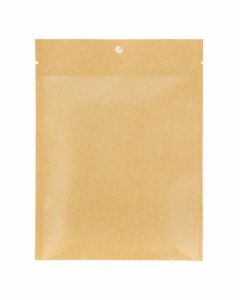 Give your baked goods an attractive display with our Kraft Heat Seal Bags with a matte laminated finish. Our KHS46MW bag measures 4" x 6" and features a slightly opaque matte window to show off your treats. An inner grease-resistant layer allows you to easily load items. Package cookies, brownies, ground coffee, and more. Food safe. Present baked goods and other snack items with the natural look of Kraft. Our KHS46M Flat Heat Seal Bags have a matte laminated finish and measure 4 7/16" x 6 1/16". Package cookies, brownies, granola bars, and other snack items. An inner poly lining creates a grease-resistant surface for easier loading. Includes tear notches and a round hang hole. Are you looking for a fun way to show off your bakery treats? 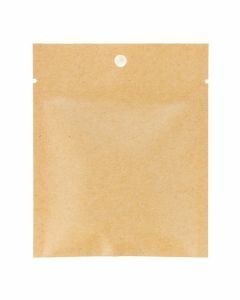 Our 5" x 7" Flat Kraft heat seal bags feature a semi-transparent matte window that gives customers a view of your product. Package cookies, pastries, and more. The inner sleeve is grease-resistant for easy loading. Food safe and heat sealable. Includes a hang hole and tear notches. 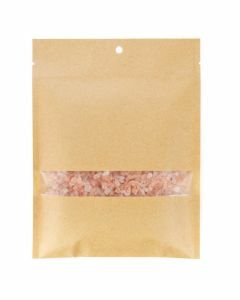 Give your food products a natural look with our Flat Kraft Heat Seal Bags. Our KHS57M bag measures 5" x 7" and works great for baked goods, cookies, and snacks. This 4.8 mil Kraft bag has a matte laminated finish for a high-end look. An inner poly lining offers a grease-resistant surface for easy loading. Includes tear notches and a hang hole. Do you need bakery packaging for your cookies and pastries? 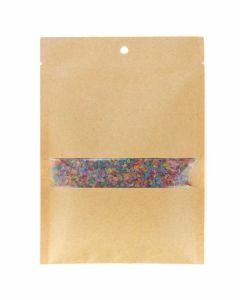 Our 6" x 9" Kraft Flat Heat Seal Bag with a matte laminated finish features a matte product window to display your treats. The inner layer of this bag is grease-resistant and perfect for easy loading of baked goods. Package cookies, pastries, ground coffee, and more. Features a round hang hole and tear notches. Food safe and heat sealable.